OnRamp has recently announced that company Founder, Chad Kissinger, will join a panel discussion on the topic of “Evaluating Data Center Security and Planning for Future Threats,” at Data Center World 2014 in Orlando, Florida. For additional details about this event, read the following news release. OnRamp, a leading high security and hybrid hosting provider with data center locations in Texas and North Carolina, announced today that company Founder, Chad Kissinger, will be participating in a panel discussion at Data Center World on Monday, October 20th, 11:40am-12:40pm at the Hyatt Regency Hotel in Orlando, Florida. The event, which has been dubbed “the premier industry conference and expo for the data center industry,” will take place over the course of four days, from October 19-22, 2014, and is hosted by the Association for Data Center Professionals (AFCOM) in collaboration with the industry’s leading online source for news and analysis about the data center industry, Data Center Knowledge. The panel discussion, titled: “Evaluating Data Center Security and Planning for Future Threats,” will be moderated by Shawn Mills, President, Green House Data, and will feature panelists Max McLeod - Siemens and Tanja Lewit - Kentix US along with Kissinger. Speaking from his more than 20 years of experience in developing and implementing OnRamp’s own policies and procedures for the reasonable and appropriate protections of personal, financial, healthcare and other forms of sensitive data, Kissinger will highlight the role that data centers must play in protecting their customers’ data. Outside of the technical and logical requirements to maintain the privacy and security of data, this discussion will focus on the physical controls pertaining to data center personnel and how security postures have changed over the past five years due to the influence of industry specific guidelines. Kissinger’s participation with the panel discussion is part of the Trends Track, an educational series focused on R&D, technical breakthroughs and transformative changes in technology and service. For more information about Data Center World, visit: http://www.datacenterworld.com/fall/. 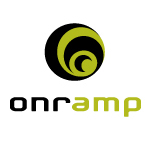 OnRamp provides computing infrastructure for companies that require high levels of security and availability. As an SSAE 16 SOC I Type II audited, PCI Level 1 and HIPAA compliant company, OnRamp operates multiple enterprise class data centers to deploy hybrid solutions built on cloud-delivered computing capacity, managed hosting and colocation services. OnRamp specializes in working with companies to ensure compliance in the healthcare, financial services and other industries with high security needs, helping them meet the rigorous compliance requirements associated with HIPAA, PCI, SOX, FISMA and FERPA. Visit us at http://onr.com/.